Save time and materials when finishing porous woods by starting with Bulls Eye SealCoatUniversal Sanding Sealer. This high-building solution dries clear and seals the wood to create a surface that can be easily sanded. Contributes to an ultra-smooth final finish. Apply in direction of wood grain in smooth, level strokes. 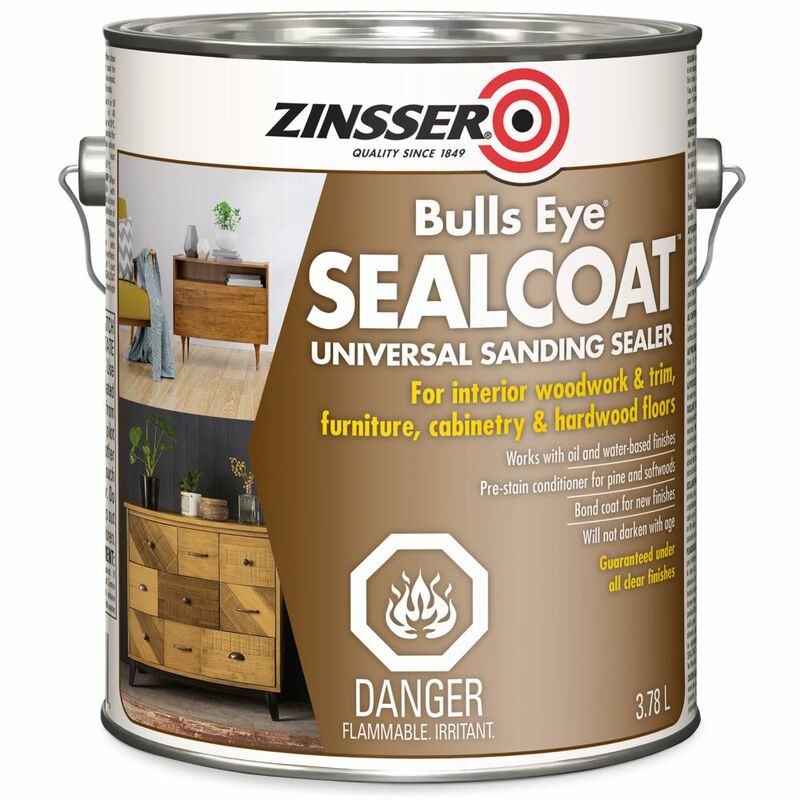 Zinsser Bulls Eye SealCoat Universal Sanding Sealer 3.7L Save time and materials when finishing porous woods by starting with Bulls Eye SealCoatUniversal Sanding Sealer. This high-building solution dries clear and seals the wood to create a surface that can be easily sanded. Contributes to an ultra-smooth final finish.